"Welcome to the world of sandwich discourse! 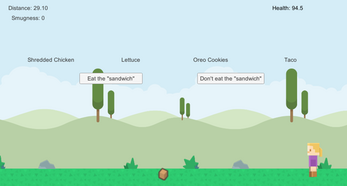 As an sandwich purist you are looking to consume sandwiches on your quest. 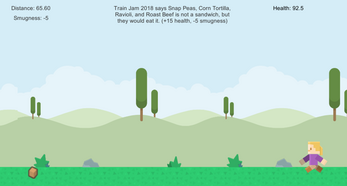 Aim for traveling the furthest with the most smugness to go down in the sandwich gourmets' history books!" 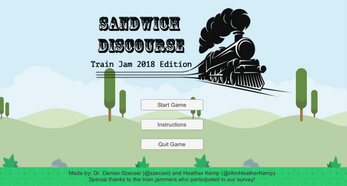 Train Jam 2018 attendees were polled to categorize sandwiches and different ingredients as "Would Eat", "Would Not Eat", "Sandwich", and "Is Not Sandwich". 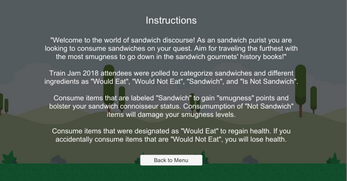 Consume items that are labeled "Sandwich" to gain "smugness" points and bolster your sandwich connoisseur status. 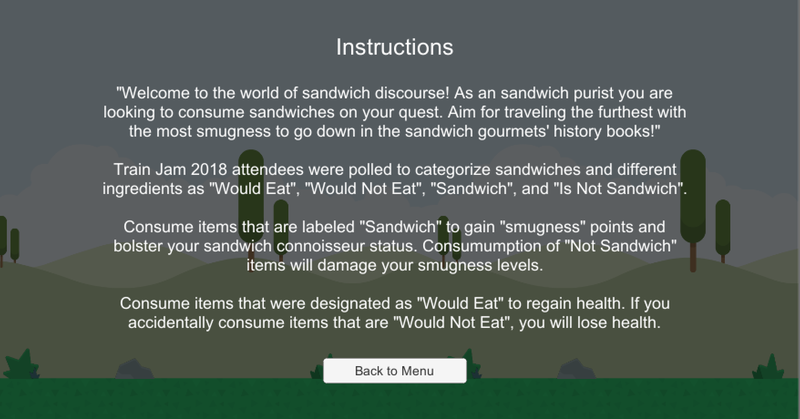 Consumption of "Not Sandwich" items will damage your smugness levels. 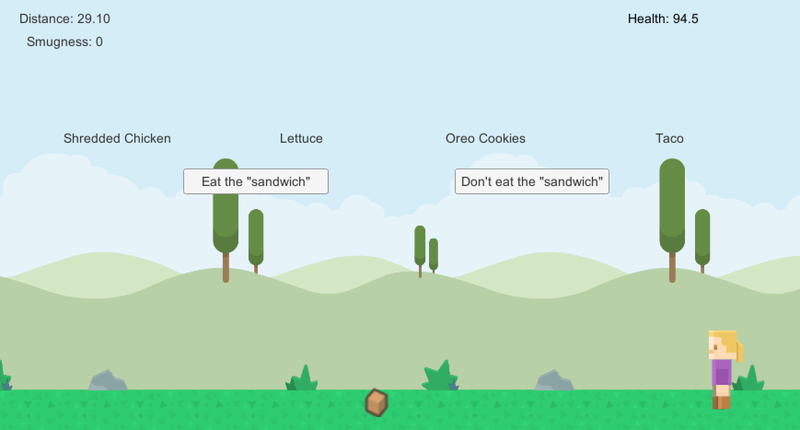 Consume items that were designated as "Would Eat" to regain health. 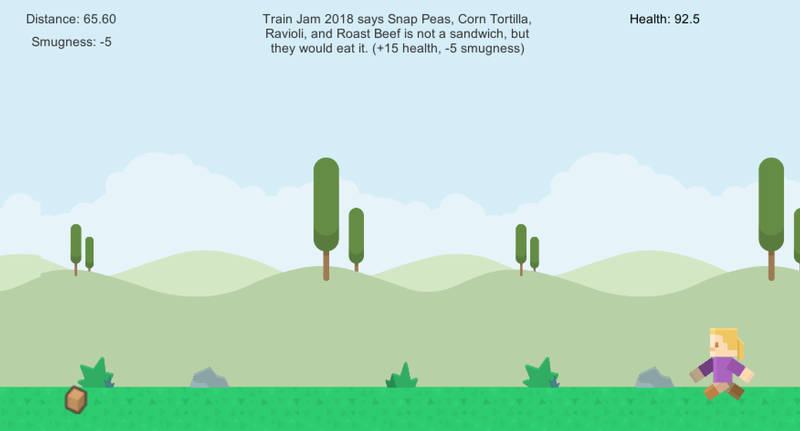 If you accidentally consume items that are "Would Not Eat", you will lose health. Follow default Unity exe run instructions.